In 1950 a monograph on Bernard Shaw by A.C. Ward was published for the British Council and the National Book League by Longmans, Green and Co as the first Writers and Their Work pamphlet. Who would have imagined that almost sixty years later the series would still be going strong? First appearing as a ‘bio-bibliographical Series of supplements’ to British Book News, the monthly journal ‘designed to acquaint the reader with the best British books on all subjects, including those published in the Commonwealth and Empire’, now as then, and even though British Books News has gone the way of the Empire, these pamphlets can rightly be considered as the best short introductions to writers and their work. Many years later, of course, the York Notes were to appear, and we now also have our own ScotNotes, published by the Association for Scottish Literary Studies, but these others are essentially study guides, published for the purposes of passing exams. Even the ‘rival’ series Writer and Critics, published by Oliver & Boyd during the 1960s and into the ’70s, was introduced ostensibly with a slightly different purpose, and nothing similar has really held a candle to the more than three hundred works published in the Writers and Their Work series. With Virginia Woolf’s (and Dr Johnson’s) ‘Common Reader’ in mind, ‘where the pursuit of reading is carried on by private people’ rather than the critic or scholar, the stated aim of the Series was to publish ‘brief but rigorous critical examinations of the works of distinguished writers’. However, in comparison to the theoretically orientated works in the Series today, the approach adopted by the first pamphleteers was perhaps more biographical than critical, and arguably more in the belle-lettrist tradition than in any seriously analytical mode. Introduced variously as ‘assessments’ or ‘appreciations’, each booklet stands as an exquisite example in the art of literary biography in miniature. ë sisters, the three being uncomfortably shoe-horned by Halifax novelist Phyllis Bentley into one pamphlet in 1950, (and again in a updated one by Winifred Gérin in 1973), but it was not long before women writers began to be better represented, as subjects of as well as expert contributors to the Series. The Jacobethan scholar M.C. Bradbrook (that’s Muriel Clara, for those who don’t know) contributed the T.S. Eliot pamphlet in 1951, though her own biographical note, presumably not written by herself, states that ‘Miss Bradbrook has many practical and domestic interests in addition to her distinguished contributions to literature.’ (These patronising words remind me of a story my aunt told me: when interviewed for a post to teach French in a girls’ school in Edinburgh in the 1960s, she was asked in earnest by the Church of Scotland minister on the interviewing panel if she could also teach the girls a bit sewing!). In the same year, Kathleen Raine’s outstanding pamphlet on Blake was published, followed two years later by her essay on Coleridge. Neither of those pamphlets makes any reference in the author notes to Raine’s accomplishments in the domestic arts. Alongside the early essays on Kipling, Sheridan, Hardy and Osbert Sitwell, there began to appear studies of George Eliot by Lettice Cooper, Jane Austen by Sylvia Townsend Warner, and Ivy Compton-Burnett by Pamela Hansford Johnson. Before long, some contributors already established in the literary field would themselves become subjects in the Series, the first to receive this treatment were Herbert Read, John Middleton Murry and Pamela Hansford Johnson. Read’s Byron appeared in 1951, and was himself the subject of Francis Berry’s study in 1953. 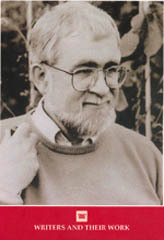 John Middleton Murry contributed the first pamphlet on Jonathan Swift in 1955. When Murry, a controversial writer and editor himself, died in 1957, his own life’s work became the subject of Philip Mairet’s pamphlet published the following year. Johnson had to wait until 1968 for Isabel Quigly’s pamphlet. T.S. Eliot, the subject of M.C. Bradbrook’s 1951 essay, contributed an essay on George Herbert, in 1962, which proved to be one of his last critical works. It has to be said that, in design terms, the first pamphlets were dull in appearance, though this dullness was decidedly not reflected in the contents. The war in Europe had been over for only five years when the Series was launched. During the war years, paper had been in short supply and paper control was introduced under the Book Production War Economy Agreement. Some of the measures imposed through the Agreement to ensure the conservation of paper included the use of smaller type, less white space and smaller margins, no blank pages, and a minimum number of words per page. To meet demand, recycling initiatives had been introduced under the National Book Recovery Appeal and the Waste Paper Recovery Association. In A Companion to the History of the Book, Jonathan Rose notes that these schemes ‘resulted in some remarkably ugly books, but this conserved raw materials.’ In his History of British Publishing, John Feather describes the books produced under these schemes as ‘hideous’, adding, ‘but at least they were produced’. However, by the time that Helen Darbishire’s work on Wordsworth was published in 1953, the war-time shortages were long over, the new Elizabethan Age had arrived, and with the artistic and aesthetic re-awakening that followed the Festival of Britain, the pamphlets got rid of their ghastly utility look and took on a new appearance. The dullest front cover imaginable was replaced with a simple but distinctive design, displaying the thistle, the rose, the shamrock, and the leek, bordered by acorns and leaves, in sepia and cream. To mark the appearance of the fiftieth number the following year – G.S. Fraser’s monograph on W.B. Yeats, the founding general editor, T.O. Beachcroft described Fraser’s essay as being ‘notable for three reasons. It is Number 50 of the Series to which it belongs; it concerns one of the major figures in our literature; and it is distinguished in its own right.’ Novelist and short-storywriter Thomas Owen Beachcroft edited the Series for another five issues, until he was succeeded by the literary scholar Bonamy Dobrée, who had written the study on Kipling in 1951. 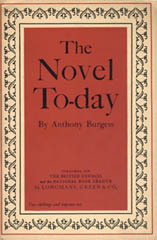 During Dobrée’s tenure, the Series saw another 120 numbers published, including general surveys of the English novel, which had began with Henry Reed’s The Novel since 1939 and included Anthony Burgess’s The Novel To-day, which ‘caught the nineteen-sixties when they were still young’. In 1964 Dobrée handed over to Shakespearean scholar Geoffrey Bullough, who was followed in 1969 by Ian Scott-Kilvert. In 1982, at the beginning of the last recession, Longman’s thirty year association with the Series came to an end, and Profile Publications took over, issuing only six titles in the following two years before the Series went into a kind of abeyance. Eventually Writers and Their Work was relaunched by educational publishers Northcote House in 1994, with Professor Isobel Armstrong as general editor. Under her editorship, this project ‘which began as a modest update of a series of pamphlets about English writers produced during the 1950s and 1960s . . . has ballooned into nothing short of the most magnificent remapping of the field of English studies.’ As a PhD student in 1962, Armstrong contributed the pamphlet on Arthur Hugh Clough, (no. 148 in the Longman Series), since updated by John Schad’s 2006 study. The relaunched Series was received with much acclaim. In keeping with the traditions of the early pamphlets to publish ‘brief but rigorous critical examinations of the works of distinguished writers’, the Series now also reflects current reading trends and research interests in Women’s writing; Postcolonial and Regional writing; American Writers; the work of many contemporary novelists and poets, for example, Pat Barker, Margaret Drabble, Hanif Kureishi, David Lodge, and Edna O’Brien; and some ‘neglected or marginalised’ writers. Its publications include guides to modern literary theory and criticism and studies and surveys of literary genres. Inevitably, tastes in reading change and certain writers do fall out of fashion, and so have they disappeared from the Series. In relation to those undeservedly ‘neglected or marginalised’ writers whose work the Series champions, I wonder if I might make a small but passionate plea to Northcote House on behalf of Stevie Smith and Elizabeth Jolley. Equally, in response to developments in scholarship and renewal in critical interest in other writers, some early titles have been replaced by new studies, which are more than just ‘modest updates’ and can be seen as literary revaluations. In the lifetime of the Series, Swift, for example, has been the subject of three studies, as, more curiously, has Swinburne. Burns and Scott have been the subject of two. 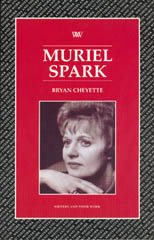 Some contemporary writers with long writing careers have required to have their work re-assessed: Muriel Spark was the subject of two studies, one in 1973 by Patricia Stubbs, and another in 2000 by Bryan Cheyette. Doris Lessing’s work was the subject of a critical study by Michael Thorpe in 1973, and again by Elizabeth Maslen in 1994. With a truly impressive first sixty years, this unique Series is surely safe for another sixty. 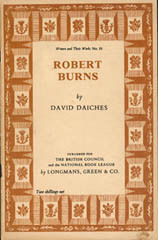 The most recent title in the Series is David Kennedy’s study of Scottish poet Douglas Dunn. Like the earliest pamphlets, Kennedy’s extended critical essay of just under a hundred pages is published with the obligatory ‘portrait and a bibliography.’ Forthcoming titles include a study by Dorothy McMillan on A.L. Kennedy.